RubyCaribe (pronounced ka-REEB) is a conference for intermediate and advanced software developers who use Ruby. The conference will be held January 27 - 31, 2015 in Barbados. January is a beautiful time to visit the Caribbean, especially if you’re coming from a colder part of the planet. Each RubyCaribe session features a 30- to 45-minute presentation followed by a 2-hour deep-dive lab. Learning is reinforced throughout. The venue, Hilton Barbados Resort, sits right on the ocean. Need a stretch break? Take a walk on the beach! Each RubyCaribe lab will be led by experts in machine learning, mobile app development (iOS and Android), web development, and functional programming. The inventor of RubyMotion, Laurent Sansonetti, will lead the RubyMotion lab. If you already have experience with Ruby or Rails, RubyCaribe will take your skills to the next level. OpenROV is an open source underwater robot running Linux and Node.js. 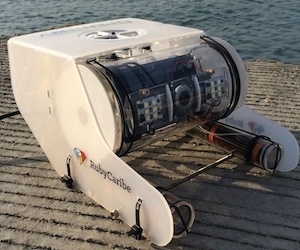 During two evening sessions, you and your RubyCaribe colleagues will hack on OpenROV. The best developers are polyglot, right? On Friday afternoon, we will grab a boat for live ocean testing with a few OpenROV units. If you ever wanted to experiment with Node.js and IoT, RubyCaribe offers a great opportunity. On Saturday, the final day of RubyCaribe, we will visit the University of the West Indies at Cave Hill. Faculty and students from the UWI community will demo their work with solar energy and other areas touched by software. Who knows, maybe you’ll give a lightning talk about something you learned at RubyCaribe! RubyCaribe will work you hard. RubyCaribe will make your brain sweat. So be sure to schedule a few days before or after the conference for sight seeing and relaxation. 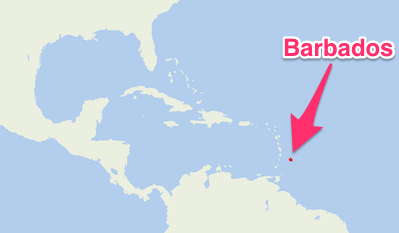 Rum was invented in Barbados. Where Will You Be in January? If you had to choose between the Caribbean and the cold regions of the northern hemisphere, where would you rather be? RubyCaribe offers the chance to ramp up your skills and enjoy yourself at the same time. What an opportunity. Only one hundred tickets will be sold. Be sure to get yours. Register now. See you at RubyCaribe!